Not too long ago, automobile manufacturers used halogen headlamps on their vehicles. Almost every car was installed with the same halogen lamps for a very long period of time. These lamps were not only far dimmer than the present day lamps but were also highly unreliable. During the initial years of the 90s, european automobile manufacturers started installing high-intensity discharge headlamps on the vehicles. These were very reliable and far brighter than the halogen lamps. At the turn of the 90s, LED lamps were introduced, which changed the way manufacturers looked at headlamps. The idea of getting in your car and switching on the engine of your car just by the push of a button would have felt like a dream just a couple of decades ago. Smart keys today have made the experience of getting in and starting the car much more effortless then it was before. These electronic keys communicate with a sensor installed on the vehicle and unlock the car. Push button start/stop button further makes the process easy by powering the engine with the push of a button. The dual-clutch transmission is the modern take on the traditional automatic gearbox. The mechanics of a six-speed DCT gearbox includes one clutch which shifts the odd gears (1, 3 and 5) and the other one handles even gears (2, 4 and 6). The combination of these clutches allows the driver to shift gears effortlessly and with incredible speed. Installation of cameras on the vehicles today have made it easier for drivers to drive as well as park the cars. A reverse parking camera helps the driver to keep an eye on the rear end of the car while reversing. Who doesn’t enjoy humming to their favorite tune while on those adventurous road trips? 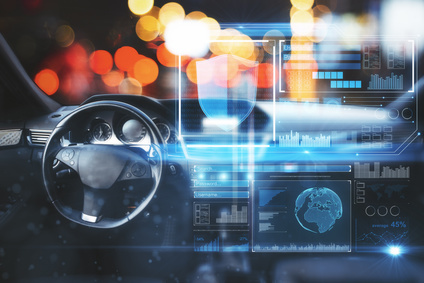 Well, it became a reality with the introduction of Bluetooth connectivity in cars. Bluetooth helps to connect your mobile phone with the car wirelessly making it easier for you to play your music or pick up calls without much hindrance. Now that you are aware of the importance of car technologies, the next step is to take your car for a spin and appreciate the technologies furthermore. On the other hand, if you are looking for repairable salvage cars for sale, one of the best website to search for salvage car auction is the AutoBidMaster.com. If you have any questions or wish to learn more about any of the vehicles listed with us, simply call +1 (503) 298-4300 or fill out our contact form, or register now to get started!